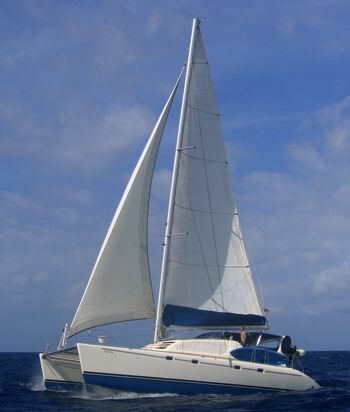 Vaza Vezo offers unique sailing holidays in the Caribbean where you can get to grips with how to handle a catamaran under the full supervision of our friendly RYA qualified staff. The Leopard 45 is known as a capable blue water sail boat and we relish introducing guests to the arts of sailing in general. Learn to lift the main sail, furl the genoa, go head to wind, trim the sails, learn new knots and navigation. We encourage as much crew participation or relaxation as the guest wishes. We can set sail to many different ports of call (it is your holiday, so your choice) with lots of small uninhabited islands to drop in on or larger more frequented islands: either a full days sailing or short distances are possible. We try to sail as much possible to be environmentally friendly but sometimes the engines do have to go on.